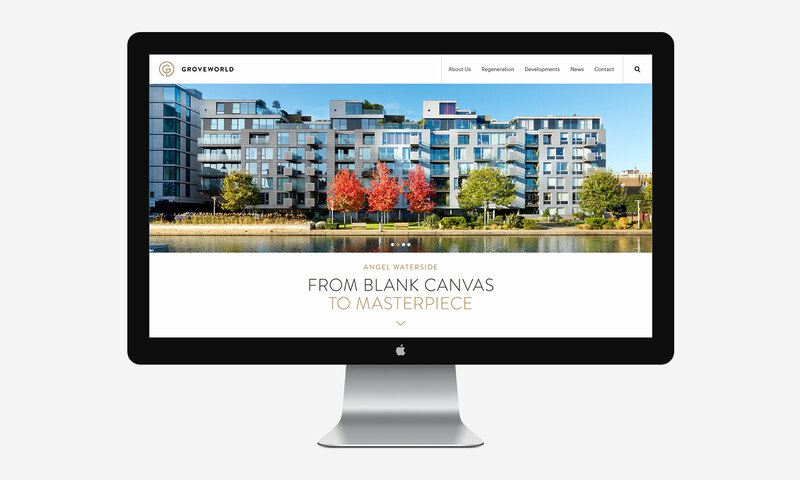 Groveworld have a unique positioning in the property development sector. They seek out derelict and under-utilised sites and create high quality residential mixed-use environments. They are problem solvers. They thrive on a challenge and use their experience to see the bigger picture, to navigate challenges, and create sustainable environments for people to live and work in. We began working with Groveworld on the build-up to their 25th anniversary. Our task was to review and develop their brand to reflect their unique positioning. ‘Transformation’ was the core idea that came out of the strategic work, and it was this that inspired our copy-based approach to the new brand identity. The ‘from/to’ concept provided a flexible system to not only communicate their core skills and process but, importantly, the effect their developments have on transforming entire communities. 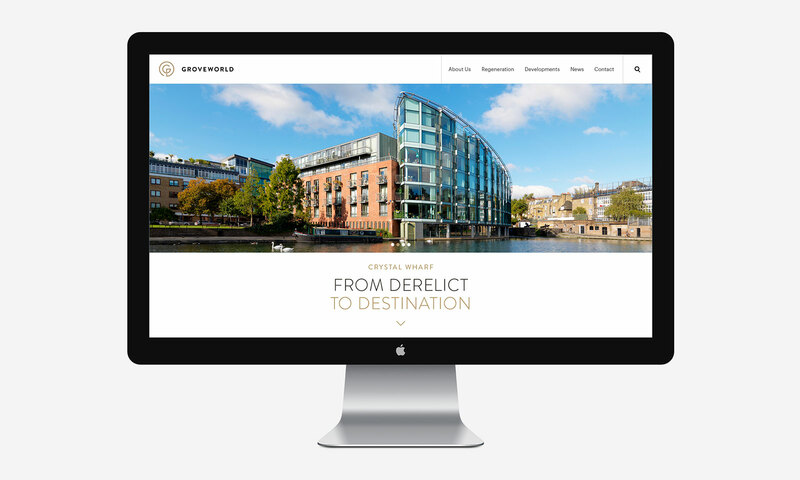 A refreshed brand identity followed, including a new logo, colour palette and contemporary photography of all their developments. The identity launched with new stationery, signage and website.